MAKE YOUR 808s SOUND RIGHT! Nowadays 808s are front and centre in the bass-lines in nearly every Hip-Hop/RnB/Trap hit record. Many of the biggest producers are totally reinventing their 808s. This means that to stay fresh and top level you need to step up your 808 game. Using this Kontakt instrument you can create 808 bass-lines in minutes. Including 44 rich, handcrafted presets, so you will find the right 808 sound for every track. 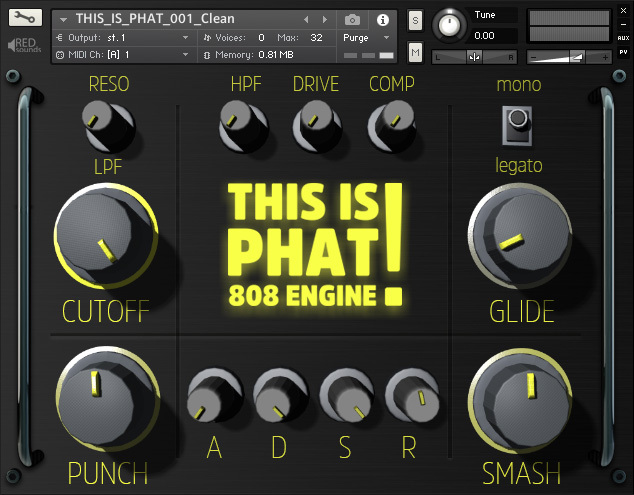 The simple, but effective GUI lets you mix 808s on the fly. This Kontakt library is inspired by Hip-Hop producers and artists like Metro Boomin, Murda Beatz, Drake, Travis Scott, Juice WRLD, Lil Pump and also EDM oriented producers like Troiboy, RL Grime, Baauer. Without a doubt these 808s are the best we’ve ever created.